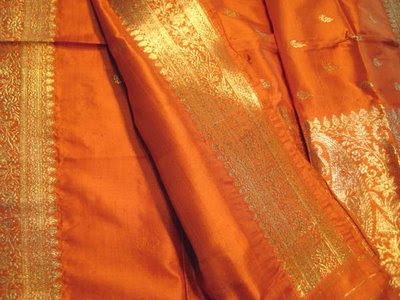 Ritual of ‘offering a sari and a blouse-piece’ is called as ‘Oti bharane’. 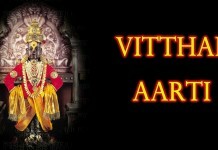 What is the importance of performing ‘Oti bharane’ in Goddess worship? A. The sari offered to the Goddess should preferably be made of cotton or silk fabric, because when compared to other fabrics, these fabrics have a better capacity to attract and retain the sattvik frequencies emanating from the Goddess. 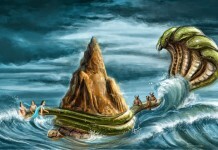 The Goddess principle is attracted towards the tuft of the coconut. The coconut helps the principle permeate into the sari and the blouse-piece. Consequ-ently the frequencies emanating from the tuft of the coconut form a protective sheath around the body of the embodied soul performing the worship. Through the cloth, with the help of absolute Earth element, frequencies with Sattva attribute get transmitted. These frequencies along with the help of absolute Water element present in coconut water, gain momentum and become functional. As a result a protective sheath of these frequencies is formed around the body of the embodied soul perfor-ming the worship. Similarly, the sattvik waves which permeate the sari and the blouse-piece help in purifying the prandeha (vital body) & the pranmayakosh (vital sheath) of the embodied soul. The posture of standing while holding the palms together at the chest level helps in activating the chandranadi (the subtle lunar channel). It also helps in increasing the particles of the Sattva attribute in the manomaya kosh (mental sheath), resulting in mental peace. This posture is very helpful in the embodied soul surrendering to the Goddess. The sattva-laden frequencies emanating from the Goddess enter and spread into the body of the embodied soul through his palms. This in turn results in activation of the anahat chakra (the energy centre at the level of chest) and helps in awakening the bhav of the embodied soul towards the Goddess. It further helps in purification of the gross and subtle bodies of the embodied soul. When bhav of a embodied soul towards the Goddess is high, it helps in longer retention of the sattva attribute gained from the ritualistic worship. Next articleWhat is importance of ‘offering a sari’ for the Goddess?